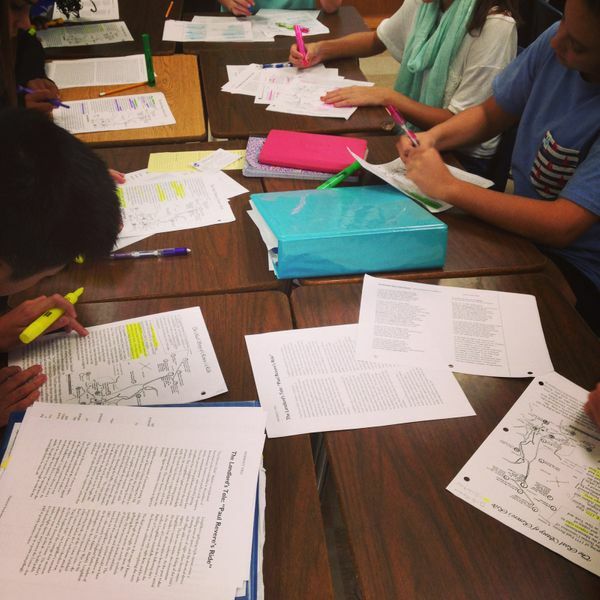 8th grade English students were hard at work synthesizing Longfellow's "The Midnight Ride of Paul Revere" with two other sources, comparing and contrasting the events in the poem to the historical accounts in the other documents. A high level task for sure! All students were deeply engaged in the analysis during my visit and were eager to share their thinking with me.